You will build a customized Bootstrap website from scratch, using various approaches to customize the framework with increasing levels of skill. You will get to grips with Bootstrap's key features and quickly discover various ways in which Bootstrap can help you develop web interfaces. Then take a walk through the fundamental features, such as its grid system, global styles, helper classes, and responsive utilities. When you have mastered these, you will discover how to structure page layouts, utilize Bootstrap's various navigation components, use forms, and style different types of content. Among other things, you will also tour the anatomy of a Bootstrap plugin, create your own custom components, and extend Bootstrap using jQuery. 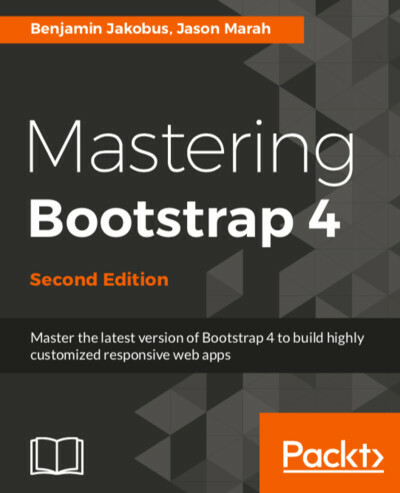 You will also understand what utility classes Bootstrap 4 has to offer, and how you can use them effectively to speed up the development of your website. Finally, you will discover how to optimize your website and integrate it with third-party frameworks. By the end of this book, you will have a thorough knowledge of the framework's ins and outs, and will be able to build highly customizable and optimized web interfaces.